Welcome to another A LOOK AT article. In these articles, we share the beautiful work you are creating. If you’d like to see the other publications we’ve taken A LOOK AT thus far, you can find them here. The subject of today’s article is Aleksandr Yakolev’s Карайелъ. Before I continue, I wish to preface the rest of this article by saying that I’ll be calling Карайелъ by its English translation of Karayel. This is not meant to cause offence, but to allow more people to know how to pronounce it and read this article without interruption. 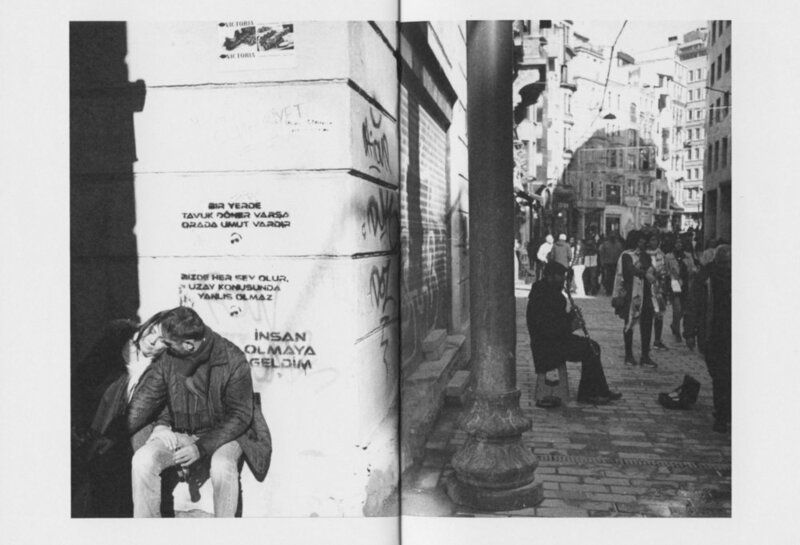 As for the name, it is in reference to the northwestern wind of Istanbul (as explained in the back of the zine). The name comes from the Turkish "kara", that is, "black", and "yel" - "wind". Now - on with the A LOOK AT. Soon to be joining this list will be Charlie Thom’s zine on Chernobyl, so keep an eye out for that one too. This section at the bottom states that the following images are scans of silver-gelatin prints. Although this isn’t necessary in a zine, I think it’s brilliant. Not only does it demonstrate a technical understanding, but it demonstrates an obvious love of the medium and the subject. In a world where people are obsessed with churning out content thick and fast, I appreciate that Aleksandr has taken the time to produce such compelling images in both the streets of Istanbul and in the darkroom. This zine does not have an abundance of pages or images, but that gives each spread extra value. Each image is more precious, and the narrative doesn’t become bland through over-saturation. This publication serves as an excellent example of “Quality, not quantity”. The materials that Aleksandr has used are very good. The paper is thick and provides a rigidity to the zine that reminds me of other premium publications. The images are printed with a slight sheen, which means that the leap off the page. Monochrome images can often look flat on such paper as this, but not in this case. Below is an example of this. As for the images, they build upon the story that Aleksandr tells at the start of this zine. It tells a story of a diverse city, full of cultural influences from both Europe and Asia. We are invited to experience the contrast of this city of both history and modern trends, and I think Aleksandr manages to represent this well in print. The above examples show just how varied the streets really are. We see market stalls of food, rugs and ornate plates, but then there’s also mannequins with unusual clothing and a youthful man with his fashionable camouflage jacket. If you can look past the fact that I obviously know nothin about fashion, I’m sure you’ll come to agree with the point that I am making. This is the same city, but quite different sights. The fact that Aleksandr has collected such images and placed them together works well. It’s an excellent use of juxtaposition. The images shown below demonstrate Aleksandr’s obvious understanding of sequencing. 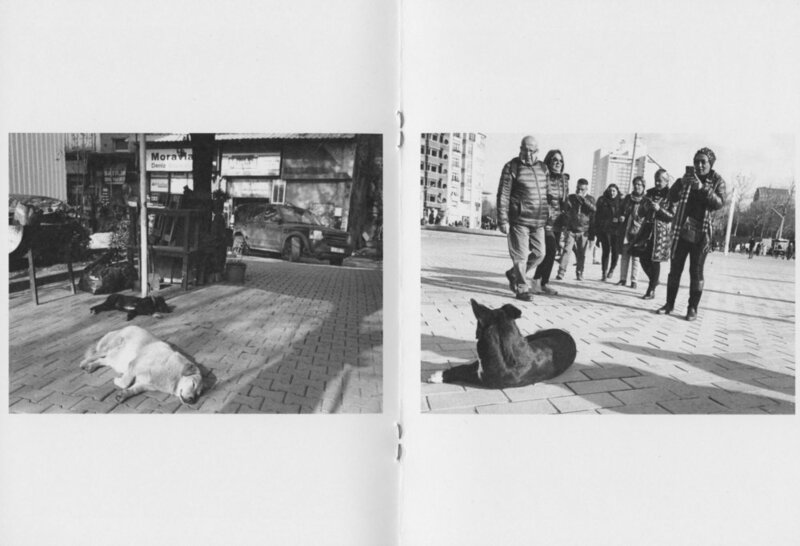 I find the following two spreads to be ever so playful. Don’t you agree that this couple of spreads are very well executed? The second spread in particular is brilliant. The composition remains similar, but the interactions with the dogs are very different, and due to the way he’s captured it, it accentuates the differences - further bolstering the narrative. This image perfectly sums up this zine for me; within one frame is countless stories. This scene is extraordinary. I don’t think it needs any explanation. 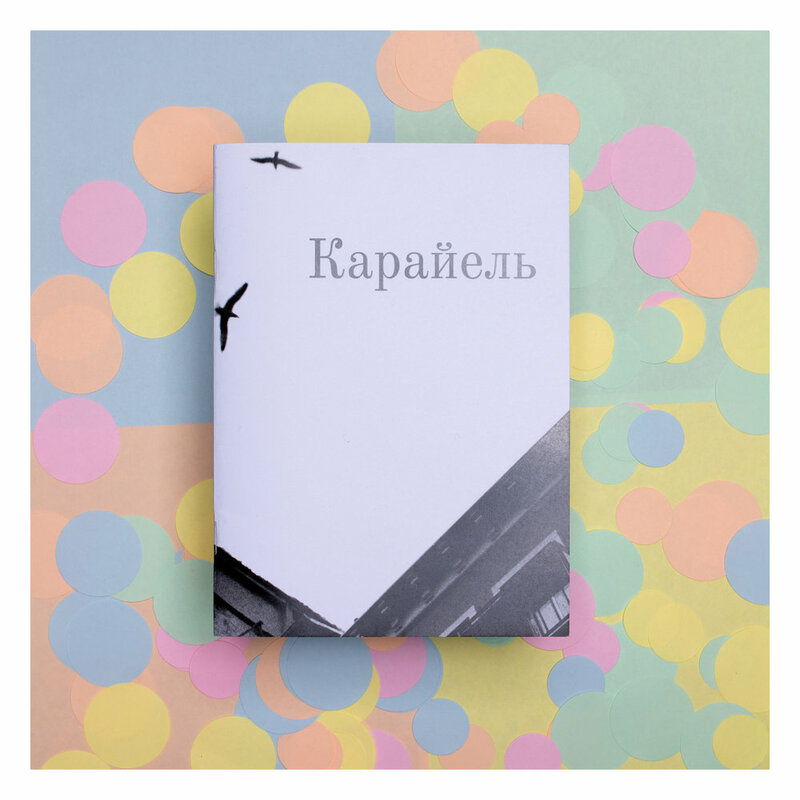 Карайелъ/Karayel is small zine that packs a punch. 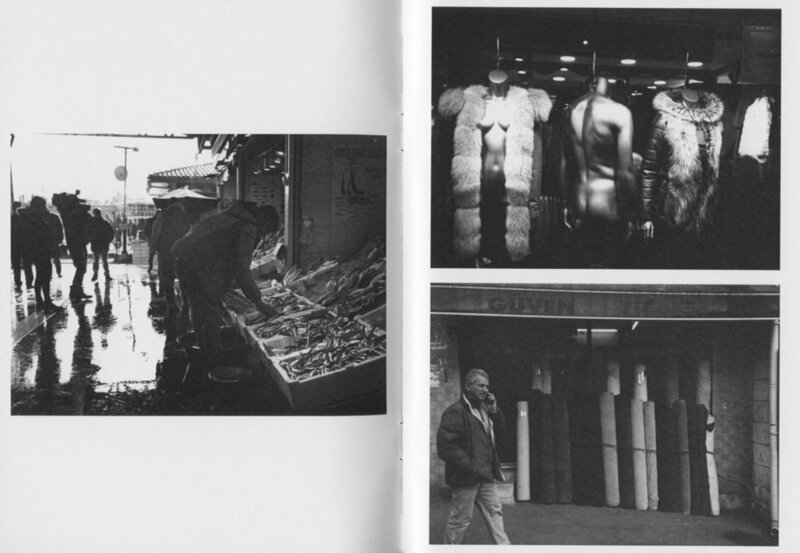 Even though it doesn’t feature as many photographs as other zines, it manages to convey a beautiful story about a city of two halves: historical & modern influences, European & Asian influences. Through Aleksandr’s eyes, we get to experience the true atmosphere of the dense and diverse streets of Istanbul. As always, if you want to support us at YOUR EXHIBITION, you can do so by supporting the film community. If you have enjoyed this article, consider purchasing a copy of Карайелъ/Karayel from Aleksandr Yakolev here. Lastly, consider sharing this article or any other A LOOK AT article with your friends. We’ve got a number of zines that we’re excited to share with you soon, and I’m sure there’s something for everyone in the archive to enjoy. You can find those articles here.